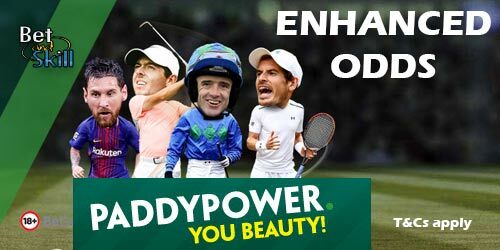 Jeremy Corbyn's personal popularity at its highest since he became Labour leader and you can get a massive offer at Paddy Power! Claim a HUGE 18/1 Jeremy Corbyn to be the next Prime Minister after the General Election at Paddy Power! Normal price is much shorter! 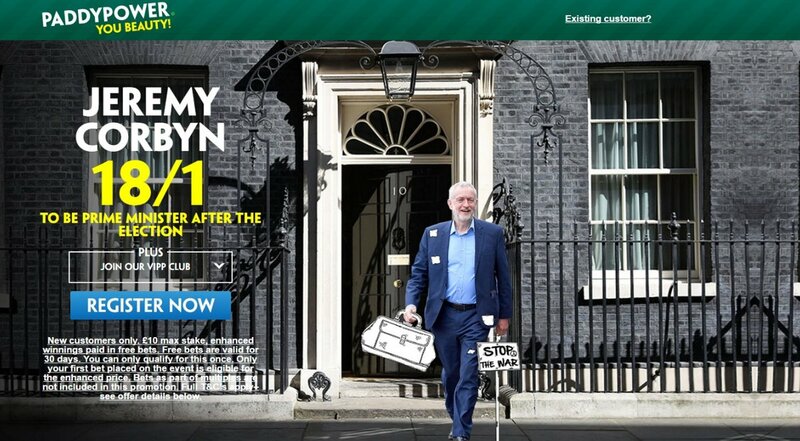 18/1 Jeremy Corbyn to be the next Prime Minister at PaddyPower The Conservative's are still on for victory but as we get ever closer to polling day, their lead is shortening after the Tories’ manifesto pledge on care funding came under fire from the party’s traditional supporters. YouGov, who made headlines in recent weeks by showing Labour narrowing the deficit from 18 points at the beginning of the campaign to just three last week, have the Tories ahead by four. This weekend, an ICM poll shows 62% of 18-24-year-olds intending to vote Labour while only 16% back the Tories. And we could have another huge surprise after the Brexit and Donald Trump! 3. If Corbyn will be the next PM you will be paid out straight away at the normal price and you'll be topped up with the additional amount in free bets within 48 hours. Place your FIRST BET on Jeremy Corbyn to be Prime Minister after the Election at the enhanced price through Power Play Plus price on site. If your selection wins, you will be paid in cash based on the normal price on site and will have the extra amount, bringing the bet up to the cumulative 18/1 payout, credited in free bets added to your account straight away. This promotion is live until 12:00 on Thursday June 8th and any bets taken after this time do not qualify. "Get 18/1 Jeremy Corbyn to be Prime Minister after the General Election (Paddy Power offer)"